We’re always two seasons ahead, which means right now we’re going absolutely bananas for spring. Pantone have just announced the colors for next year and we’re extremely excited to share them with you. As an overview the colors are predictively pastel like with a surprising mix of rich masala and classic blue, which take the palette into a whole new era. 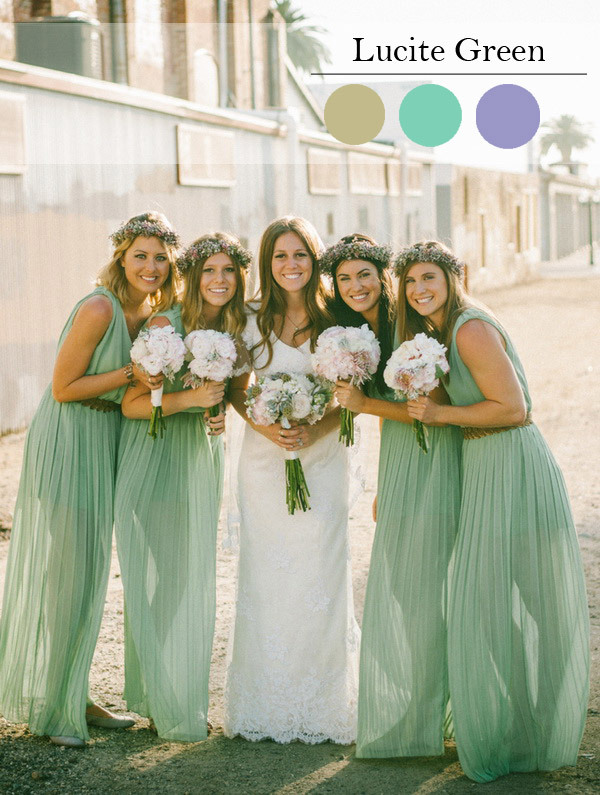 There’s so much scope for bridesmaids and the palette include some really flattering shades perfect for a spring or summer wedding. 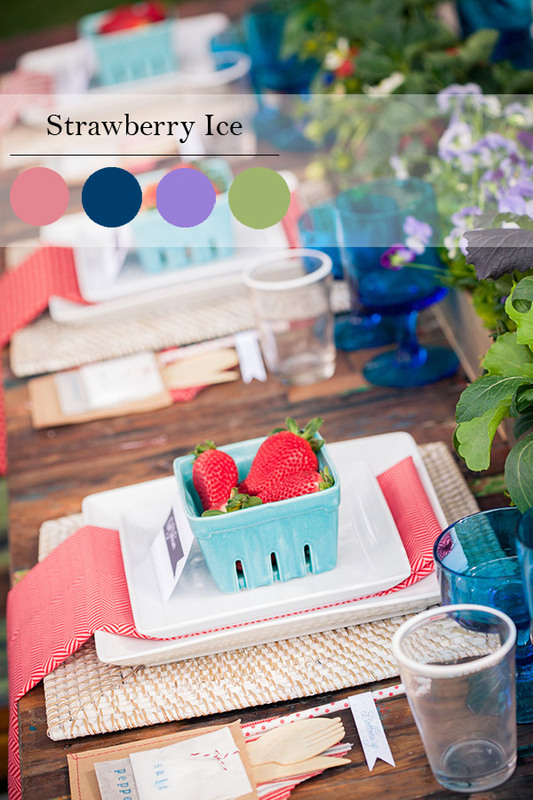 Brides can choose from a refreshing selection of colors that will really suit outdoor venues. So we can now reveal the new palette for spring and give you some handy tips on how to use each color. Set to be the lead color for every woman next spring, this airy blue shade is cool and calming, which is something most brides search for when planning their wedding, leaving the option to choose this color a no-brainer. Try glass vases as table decorations and make sure you dress your maids in this flattering shade. 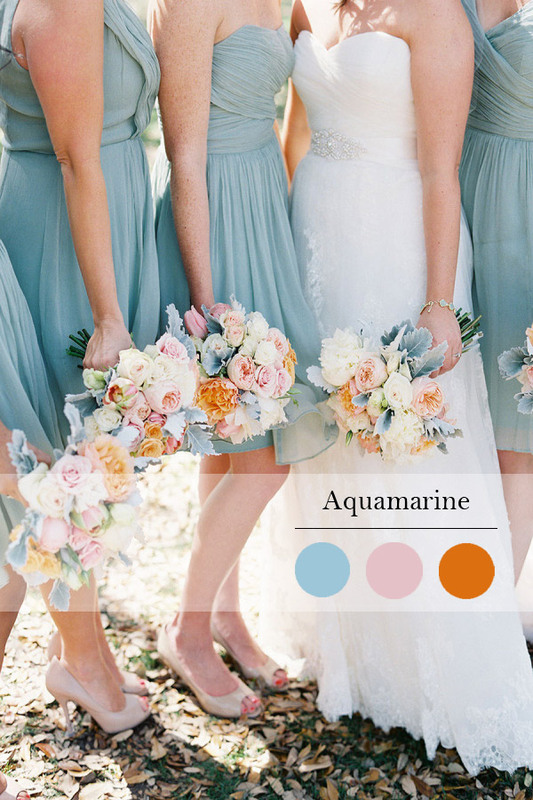 A stunning color if you are planning a beach wedding, this energizing shade is fresh and exotic. If you choose to use this color make sure you don’t overload it with too many other colors a hint of white will suffice and really make this color stand out on it’s own or possibly with some canary yellow. A soothing fresh minty green, this shade is gorgeous teamed with fellow cool shades of classic blue and scuba blue. 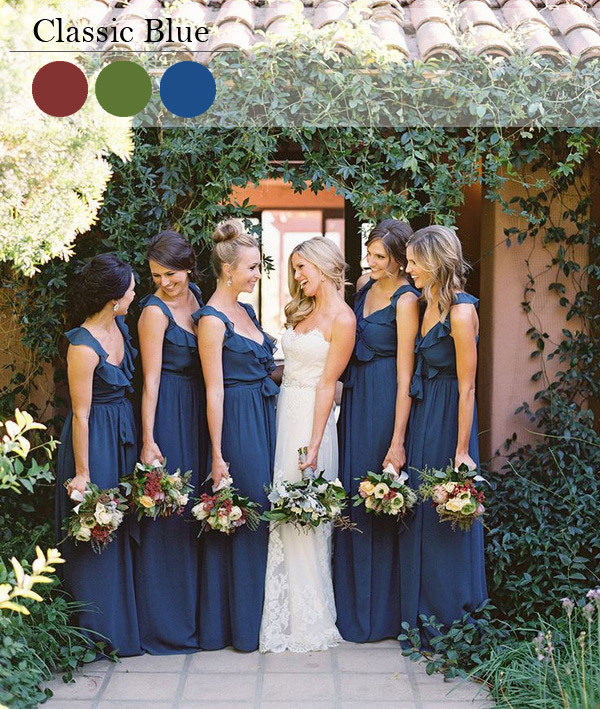 A great choice for bridesmaids, but it also makes a great theme color, paired with white and a touch of gold. 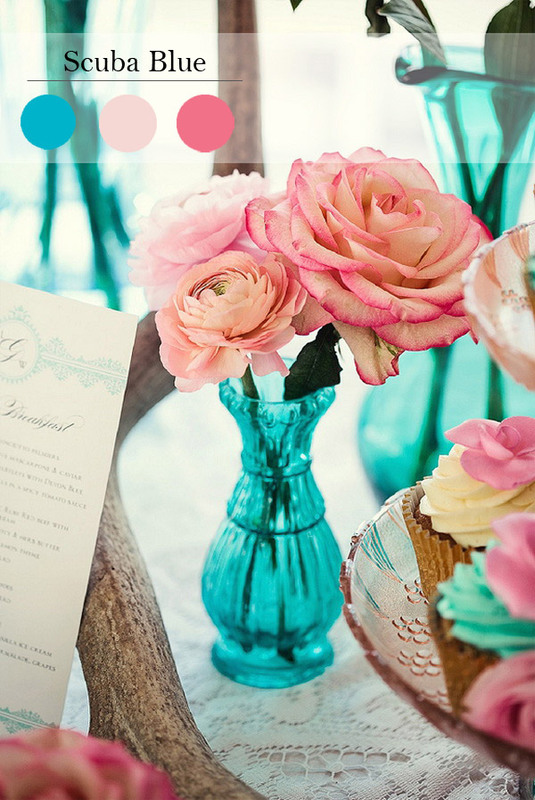 Decorate your invitations in this gorgeous color and decorate the venue with heaps of paper pompoms. 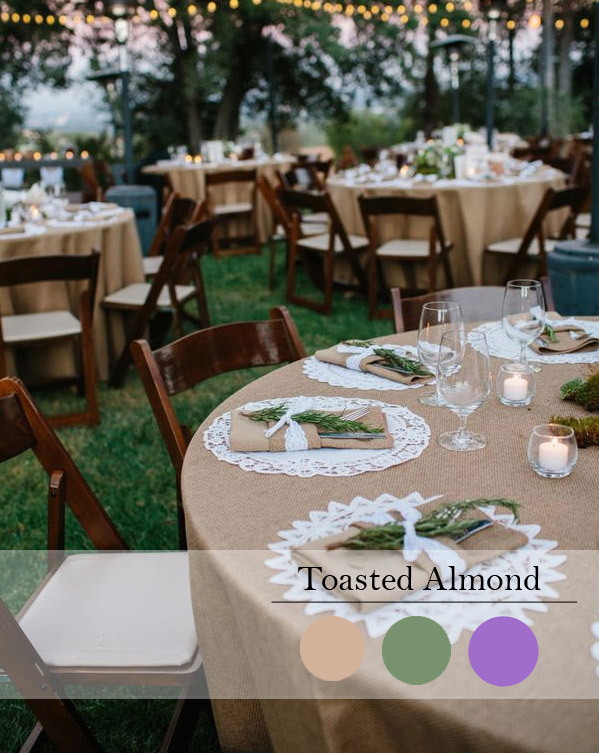 A traditional wedding color, but not one we usually see in spring, it’s a color that should be paired with those rich exotic pastels, such as custard, scuba blue and Lucite green. Try to use flashes of this color rather than using it as your main choice. Pretty little labels on favor boxes or even a pair of classic blue heels will look fab with a fellow blue bridesmaid dress, such as scuba blue or aquamarine. A beautiful organic color, which helps to mute some of those flashy pastels, like strawberry ice and scuba blue. Although not an obvious color for spring it can look stunning, especially with a flash of something bright. Why not try a toasted almond iced cake with a few strawberry ice petals to decorate. I must confess this is actually my favorite shade for spring, I’m not a lover of pink, but this shade is a little more flattering than those blue hue pinks. Toasted almond works wonders with this color and ensures you don’t go to girly. A gorgeous juicy color for spring! 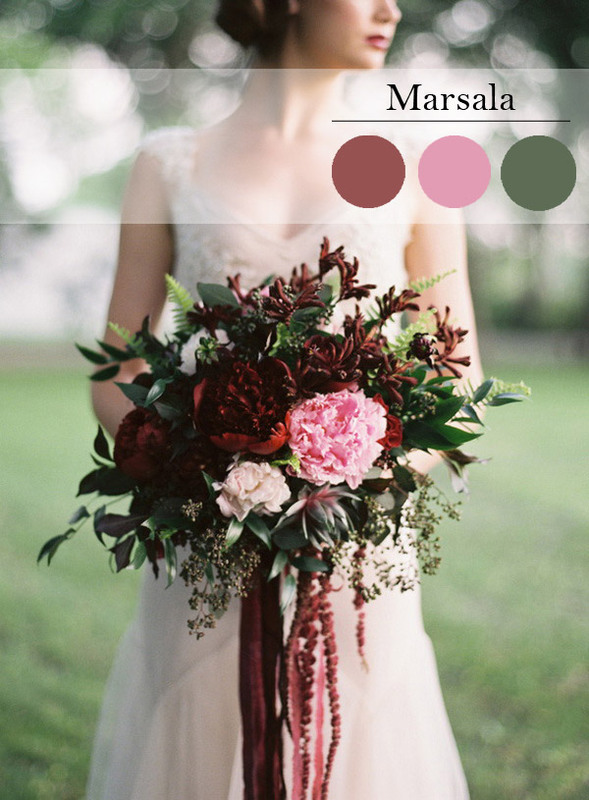 A color that most brides tend to stay away from, however we think it looks great given the right shade. If you are afraid of it’s vibrancy, why not water down the color and try a watercolor effect for your theme. A sweet and cheery shade, that is perfect for spring, it’s a fab update on those clean bright yellows. Try teaming this shade with hints of classic blue for a striking and surprising look. 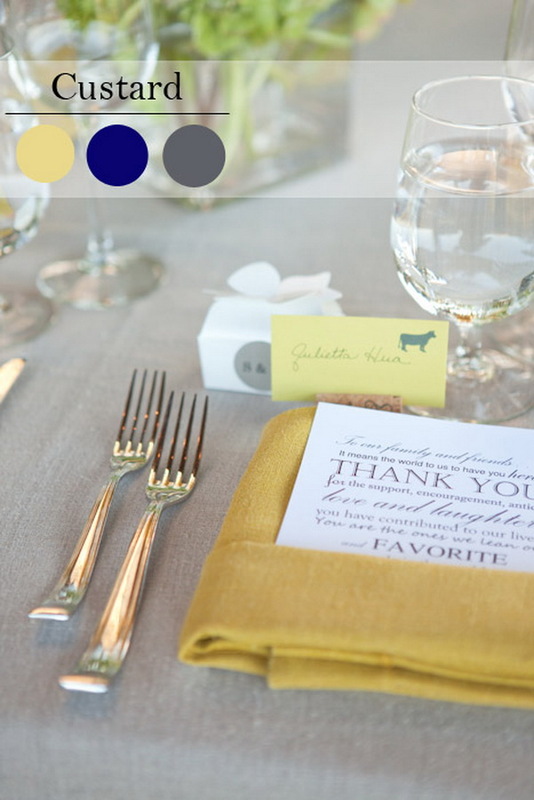 Try dressing up your dinner tables with everything custard and don’t be afraid to use watered down shade of this color for more texture and variation. Stunning on its own, but also as a wonderful contrast for other hues, this warm and rich shade will bring an air of sophistication to your spring shin dig. 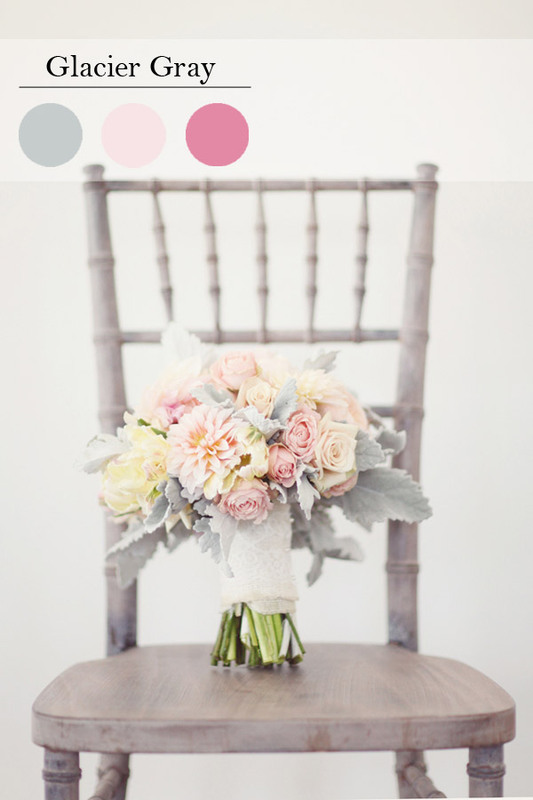 If you choose this color make sure you invite other bright pastels so that it doesn’t look too dull. An unobtrusive gray that contrasts and enhances; it successfully bounces off other shades without taking center stage. Nature’s most perfect neutral, Glacier Gray is a shade that is timeless and classic. Don’t be afraid to dress your bridesmaids in this color for spring, just make sure you pair the dresses up with some bright and sunny spring bouquets. 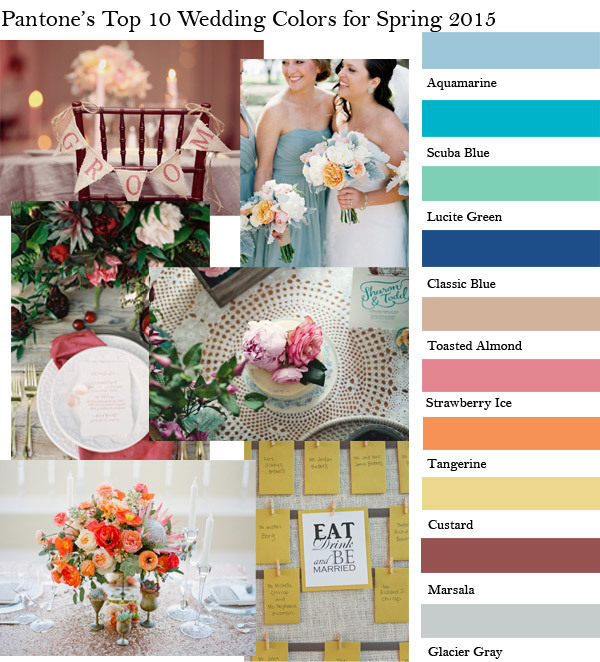 For more details, click here for spring/summer wedding color ideas trends 2015-part I! 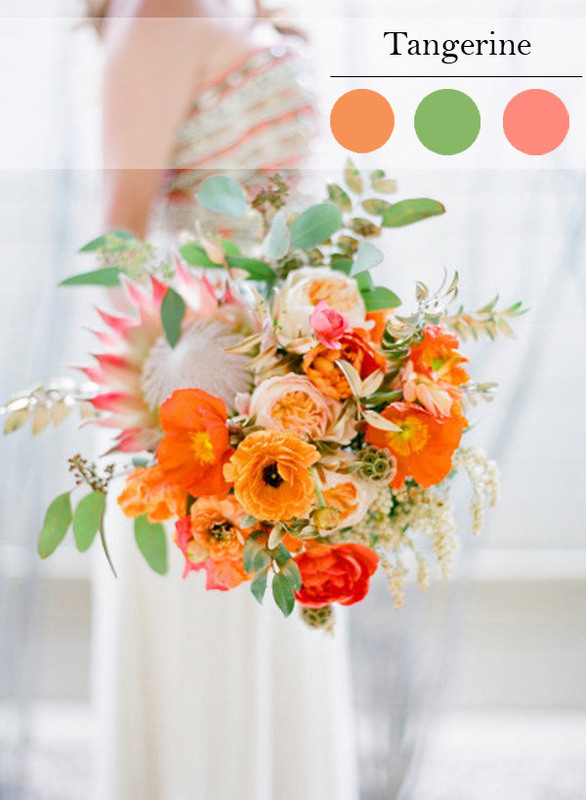 This is a perfect blend of spring colors which will enliven a spring wedding. Good article.